Did you know that the safest and most effective way to use essential oils is inhalation? 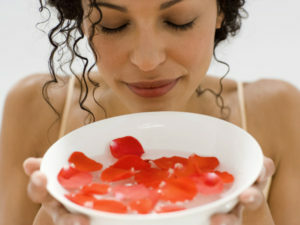 Aromatherapy, or inhalation, is when essential oils evaporate into the air using a diffuser or breathed in. Apart from providing a pleasant smell, aromatherapy oils can provide respiratory disinfection, decongestant, and psychological benefits. Inhalation is the safest and most effective way to use essential oils. Inhaling essential oils stimulates the olfactory system, the part of the brain connected to smell, including the nose and the brain. Molecules that enter the nose or mouth pass to the lungs, and from there, to other parts of the body. As the molecules reach the brain, they affect the limbic system, heart rate, blood pressure, respiratory system, memory, stress and hormone balance. In this way, essential oils can have a subtle, yet holistic effect on the body. Just to clarify, the limbic system is a complex system of nerves and networks in the brain, involving several areas near the edge of the cortex concerned with instinct and mood. It controls the basic emotions (fear, pleasure, anger) and drives such as hunger. Massage and dermal absorption is another wonderful way to use essential oils. Always use a carrier oil with your essential oil for massage. A greater amount of an essential oil will be absorbed if the carrier oil is a less viscous oil, if the user’s pores are unclogged, and if more skin area is covered by the oil. There are also parts of the body with thinner skin (behind the ears, inside of the wrists, palms of hands, soles of feet, armpits, scalp) through which oils are more quickly absorbed than through other parts with thicker skin (arms, legs, belly, back). Massage is an amazing way to enjoy all of the benefits of essential oils. Studies have shown that the least effective way to absorb an essential oil is through ingestion. Taken this way, the oil ends up going through a slower intake process by way of the digestive tract where it must pass through several large organs before it reaches the bloodstream. By this time, the oil’s chemical composition will have been altered by every other material it will have passed in these organs before being expelled from the body. A potentially toxic accumulation of chemicals can occur in the organs with immediate or accumulative damage over time. DO NOT DRINK ESSENTIAL OILS no matter who or what MLM company tells you to do so. Herbs are for tea and consumption, NOT essential oils. With oral administration, there is great risk of overdose, gastric irritation and interactions with medications. We recommend that you avoid this route of administration completely due to the complexity and potential harm that is imminent with miscalculation and lack of knowledge. It simply is not worth the risk. There are too many variables and the public danger is too high. So, if inhalation is a safer and more effective way to use essential oils, what are you drinking and ingesting them for? Avoid the unnecessary risks. Just Breathe!